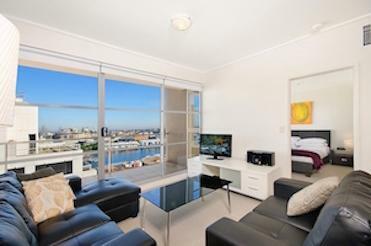 Astra Apartments is a respected supplier of executive apartments Australia-wide. Specialising in the B2B sector, you can utilise our experience, brand strength and support to build your business. A high potential segment or Melbourne CBD has become available. We have extensive experience in marketing accommodation solutions to the corporate sector backed by a team of marketing and sales professionals. This is coupled with our blue chip client list that includes a range of multinationals and many of Australia's top 200 companies. Melbourne is already a successful market for Astra. Our team will guide you through the initial training and provide ongoing support . We start training whilst you are setting up your business. You will be assisted at every step including: choosing real estate for your apartments, furnishing apartments, property advice, setting up utilities and connections, client development, improving operational effectiveness . Much of the training is live and on the job - there is no better way. What’s more, you have access to training and guidance whenever you need it. You have experience in running or managing a business and dealing with clients in a corporate environment. Your ability to liaise with, and develop clients is important. You need to be prepared to work in and understand the business from the ground up in the early days, but the rewards and opportunity that open up to you make it a very worthwhile challenge. No prior experince is needed in the hotels or the serviced apartments industry. We are seeking motivated applicants who are interested in establishing the new territory in Melbourne. Further details can be provided upon application . 1. Relatively low initial capital outlay. There is no store fit out cost or equipment to purchase. Just the initial franchise fee, legals and capital to pay for bonds and furniture of the first apartments. 2. Opportunity for high earnings and to grow a business of considerable value. With 30 apartments and annual revenues in the region of $2 million, you should be making an operating profit margin (before interest and tax) of 10-20%. 3. Astra Apartments is a low overhead business. One full-time person should be able to manage a 30-apartment territory. 4. The Astra Apartments inventory model means that capacity can be flexed up or down to meet demand. 5. The business model allows you to manage your life, unlike a shop or other business to consumer enterprises where you are tied to opening hours. 6. The cloud-based property management system can be accessed anywhere. You can respond to client enquiries and manage the business from anywhere in the world. Many of our franchisees manage operate remotely and use part-time staff at the apartments. 7. Franchising allows you to compare your business performance with other businesses in the network. You can identify areas to improve and learn how others achieve the outcomes you want. 8. You do not need to own or purchase real estate to operate this business. Astra Apartments is lead by Peter Davis and Tom Jeavons-Fellows, both experienced professionals with a dedicated focus to make Astra Apartments the accommodation choice for travelling executives in all the major CBD’s of Australia, and to provide a framework allowing Franchisees to achieve their business and personal ambitions.